My coursework in the College of Education prepared me well for a career in higher education administration. The classes in leadership, programming, the presidency, and community college issues laid the foundation for leadership positions, including the president, in higher education. The classes were taught by career professionals and education leaders in higher education—people who had real world experiences to augment their knowledge of educational theory. As a result, a number of the professors served as mentors to students as the students climbed the career ladder. One valuable component in many of the classes was the use of case studies. The case studies were actual scenarios from community college campuses, and the class objective was to analyze the situation and to develop a plan of action. The actual results were revealed after the small groups/class devised their/its plan of action. The case studies required critical thinking and innovative problem solving, and they encouraged students to apply both theory and experience in tackling the real world educational issues. I took a class on the community college presidency under Dr. George Vaughan. In this class, Dr. Vaughan discussed pitfalls in leading a community college, i.e., issues related to boards of trustees, faculty, students, and stakeholders. While serving as President of Edgecombe Community College, I’ve reflected on those discussions when encountering various issues and have approached them with caution—I had a toolkit of strategies with which to work. The College of Education prepares students for success as a community college leader. Students should capitalize on an outstanding leadership program and the opportunities that it provides by studying at NC State. Alumni provide the proof that exceptional training leads to successful leaders. 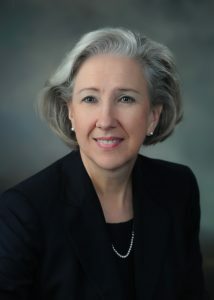 Dr. Lamm assumed the presidency of Edgecombe Community College in 2004. Previously she served as Vice President of Curriculum Instruction at Southeastern Community College and Dean of Arts and Sciences at Lenoir Community College. Most recent among her many accomplishments are development of a partnership with Beijing Changping Vocational School in China, and leading Edgecombe as one of four colleges to receive the National Career Preparedness Award for exceptional preparation of students to be successful in careers and in the workplace. In addition to her NCSU doctoral degree, she holds a master’s degree in English from East Carolina University and a bachelor’s in English and Psychology from UNC, Greensboro.